One week before a new President who campaigned on a promise to fix the economy takes office, public media provider WNET.ORG is putting the meaning of money into context – where it came from, where it goes, and why it has always been (and always will be) the fulcrum of civilization. THE ASCENT OF MONEY, a two-hour documentary based on the newly-released book The Ascent of Money: A Financial History of the World (Penguin Group USA), will premiere on Tuesday, January 13 at 9 p.m. (ET) on PBS (check local listings). The film is written and presented by the bestselling author, economist, historian, and Harvard professor Niall Ferguson. An expanded, four-hour version of THE ASCENT OF MONEY will air on PBS later in 2009. In THE ASCENT OF MONEY, Ferguson – whose series War of the World garnered critical attention last summer – traces the evolution of money and demonstrates that financial history is the essential back-story behind all history. “Everyone needs to understand the complex history of money and our relationship to it,” he says. 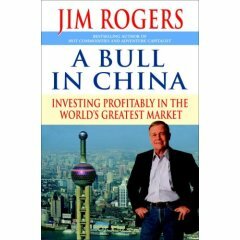 “By learning how societies have continually created and survived financial crises, we can find solid solutions to today’s worldwide economic emergency.” As he traverses historic financial hot spots around the world, Ferguson illuminates fundamental economic concepts and speaks with leading experts in the financial world. Funding for THE ASCENT OF MONEY is provided by the Ewing Marion Kauffman Foundation, The Smith Richardson Foundation, James and Merryl Tisch, and PBS. Additional funding for educational materials is provided by the Calvin K. Kazanjian Economics Foundation, Inc. THE ASCENT OF MONEY is a co-production of Chimerica Media Limited and THIRTEEN in association with WNET.ORG. Series writer and presenter is Niall Ferguson. Series producer is Melanie Fall. Series director is Adrian Pennick. Executive producer is Simon Berthon. For WNET.ORG, William R. Grant is executive producer. Stephen Segaller is executive-in-charge. Dylan Ratigan is the anchor and co-creator of CNBC's "Fast Money". Dylan also co-anchors "The Call" and the 3 p.m. hour of the "Closing Bell." CNBC's "Fast Money" is a rapid-paced, highly charged hour where four of Wall Street's best traders debate and discuss the hot trades of the day. Ratigan serves as "The Commissioner" of "Fast Money", which now originates from the NASDAQ's MarketSite studio in New York's Times Square. A veteran business journalist, Ratigan served as a Global Managing Editor at Bloomberg News until March 2003. In this position, he supervised more than 110 reporters worldwide covering investment and commercial banking, insurance, hedge funds, private equity, capital markets, securities trading and underwriting. Additionally, he co-created and hosted "Morning Call" on Bloomberg and the USA Network and in the process conducted countless interviews around the world with notable business and political leaders. Before moving to television, Ratigan wrote for Bloomberg News. He created the mergers and acquisitions beat and established Bloomberg News’ capital markets and equity derivative coverage. Ratigan has also worked as a contributor to ABC News and has published articles in newspapers and magazines including the New York Times, Washington Post, Miami Herald and the Chicago Tribune. He began his career at The Portsmouth Herald in Portsmouth, New Hampshire. Ratigan speaks regularly at major events such as the World Economic Forum in Davos, Switzerland. He has won numerous awards including the prestigious Gerald Loeb Award for CNBC’s coverage of the Enron scandal in 2004. Ratigan holds a Bachelor of Arts in political economics from Union College.